Television doesn’t just ‘happen’. Every part of it, from coming up with an idea for a programme through to sending the finished show over the air to our TV screens takes dozens of people. In total, well over a thousand people will be in some way involved in getting even the five minute epilogue at the end of the day into our living rooms. Most of these people will be invisible to us. They don’t get their names in the end credits of the programmes. They don’t get a namecheck on air. We don’t see them on screen. We don’t even see or hear what they’ve produced to make the programme appear. Yet they’re all vital. At Thames in 1970 there’s a group of people absolutely vital to making television happen for the viewer and yet utterly invisible: the transmission control staff and the technicians that work with them. Everybody has a vital job to do, from the person lining up the reels of commercials to the person with a stopwatch seeing what space is available for promotions and announcements. They pool this information and another vital, invisible specialist types it up on special paper and has it duplicated using a manual Gestetner machine, turning the handle to produce each copy, then collating them, stapling them and distributing them to dozens of people in the Euston studios – and sending copies to the head of presentation of each of the other ITV companies (and ITN) so that everybody knows what everybody else is doing. 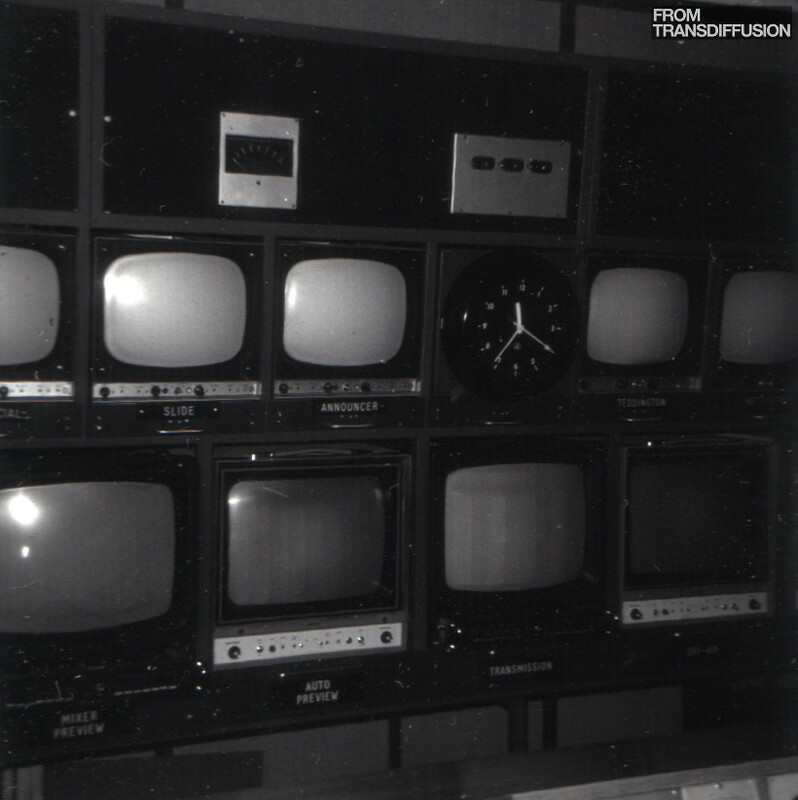 These presentation schedules, also known as routine sheets, are then used by the transmission controllers and the continuity announcers to run each evening’s broadcasts to the second, from starting the station up at 2.44pm (and 31 seconds) through to the epilogue, closing announcement, national anthem and “don’t forget to switch off your set” starting at 11.59pm (and 50 seconds). These routine sheets are complicated and technical, but tell us an amazing amount of useful detail of what happened on a specific day. On Thursday 26 March 1970, Roger Rowe was the transmission controller at Euston. With him that day were Sheila Kennedy and Philip Elsmore splitting the continuity announcing job between them. If there are problems to do with the commercials – one to be pulled or one to be added – then Mr G. Smith is in the building until midnight to manage the process. Mrs Pam Durrant is available on extension 651 if the press office is required – if someone says a rude word on Today or if tomorrow’s newspapers could run with something that Thames has put out. 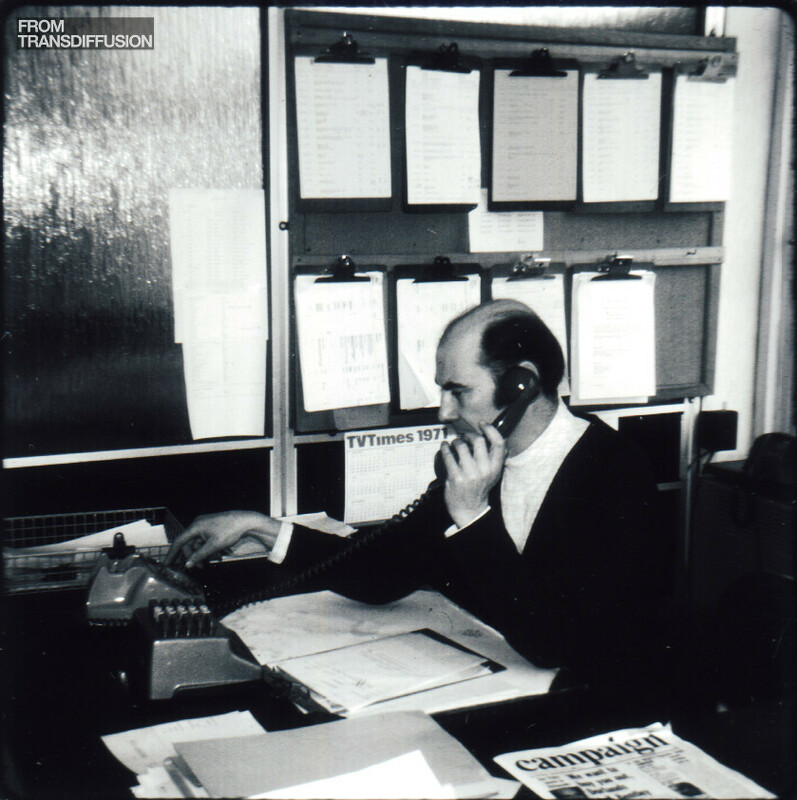 At home but still on call is Transdiffusion’s Honorary President, Geoffrey Lugg, available on 01 977 4053, ready in case a programme becomes unavailable or disaster strikes. The day starts at 14Hours.44Mins.31Secs exactly with the fade up of the ITA ‘flag’ caption. On the Brighter Side and Pizzicato Rockalong by Johnny Hawksworth play. At 14.48.02, Philip Elsmore – on tape – says “This is Thames Television, operating on the London transmitters of the Independent Television Authority.” Then more Hawksworth – Salute to Thames (known as the March internally) and we’re into Sheila Kennedy saying hello at 14.49.50. She has exactly ten seconds to welcome the viewers to Thames and throw forward to a repeat of Mad Movies. There’s more time available after the programme ends at 15.14.05 with 5 seconds of the From THAMES slide. 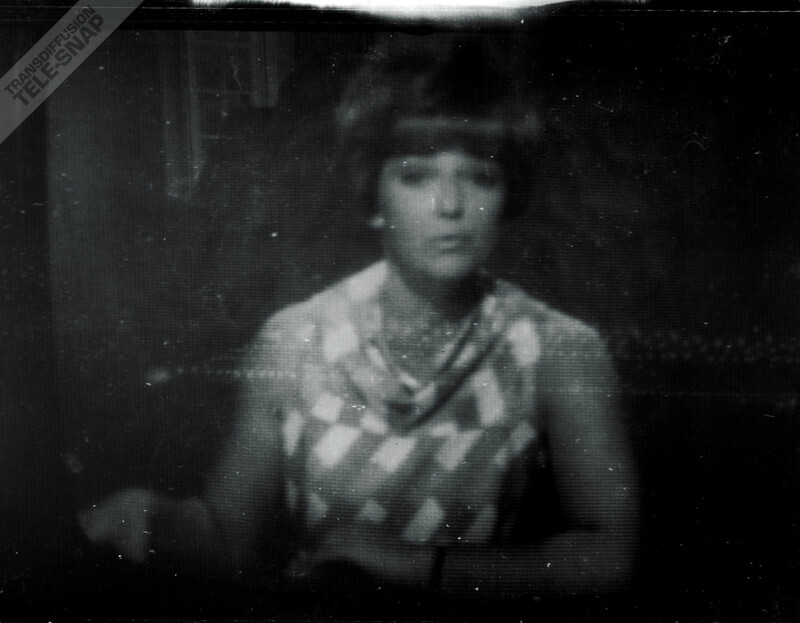 50 seconds are given to her here, allowing time for her to run through the early evening’s programmes before the 7-second Thames ident at 15.14.53 and the Outside Broadcast. This OB is also being taken by Harlech, which may explain why the Thames ident is being run before the programme start rather than as part of it – it’s allowing the Wales and West company to not show it. Although quite why is in itself a mystery. We’re back to the announcer’s booth at 16.16.30 for 15 seconds and a “Childrens Opening” – billed as being the announcer, so it’s Sheila Kennedy again and not some special ident or title sequence. The next programme is from Yorkshire Television in Leeds, coming down the GPO co-axial cable and being taken by Thames, Granada, Westward, Grampian, Channel and Southern. Our first advert break of the day occurs after Diane’s Magic Theatre ends at 16.27.55. It’s for Mackintosh’s Quality Street – on black and white – followed by Findus Fish Portions in colour. This is a feature of the time – less than 6 months into colour on the main ITV regions – with the advertisements unselfconsciously swinging back and forth between colour and black and white. The ITV companies were not permitted to charge more for handling colour advertising, so had little incentive to push the advertising agencies into switching. Long-running campaigns for major brands had been prepared in black and white up to two years ago, were expensive to make, and there was little incentive for companies to remake them in colour – an expensive business. There’s no accounting for which adverts are in colour and which are not. Mars, one of the world’s largest advertisers, is firmly in black and white throughout the evening across most of its brands – Pedigree Chum, Mars bars, Marathon, and Twix all getting a plug before 7pm without a hint of colour anywhere (Revels, however, are in colour). But smaller brands like Brolac paint and Meakin Pottery are in colour. Even brands that would benefit from colour in their commercials – ICI’s Dulux Paint – are in monochrome, yet followed by a colour commercial for Filigree Curtains (who?). Skipping forward, Magpie at 17.19.00 is going out to the entire network except ‘HAR 2’. This is the former Teledu Cymru, the Welsh- and English-language service of Harlech – ‘HAR 1’ is the former TWW, the Harlech General Service for Western England and South Wales in English alone. Clearly Harlech Wales is putting out a children’s programme in Welsh in that part of its dual contract area. The ITN news is at 17.50.00, and is being routed through Thames facilities in Euston – which is why this slot (later the 5.45pm and 5.40pm ITN programmes) was always the best chance of glimpsing the Thames clock or hearing part of a Thames announcement when your regional company was a tad early into the news (or Thames was a tad late). It also allows Thames to network at 30 second promotion for This Week after the news finishes – but the other companies need to get out at precisely 18.01.30 or they’ll be showing the Thames weather. Everything now is locally produced at Thames until 20.59.00, when ITN gets 30 seconds to plug tonight’s News at Ten. This is done in a complicated way – ITN’s live promo comes in to Thames and is then sent on the standby line (not the over-the-air line; ATV had bought a second private direct line between Foley Street in London and Aston in Birmingham from the GPO back when they had two ITV contracts) to ATV to network. ATV then keeps control of the network for the next programme, except for Grampian, who opt-out for a local programme. The ATV programme is a repeat of The Jimmy Tarbuck Show, at 20.59.30. Pre-publicity and the TVTimes have boasted that this is in colour. It isn’t, and an announcement will need to be made to apologise. It looks like that has been left to ATV to do, meaning that the apology for it not being in colour will go out across the network – the majority of which is still in black and white only anyway. At the end of the long run of commercials starting at 22.29.05, Philip Elsmore does what is in effect a leftover practice from the 1950s – a ‘clock spot’. 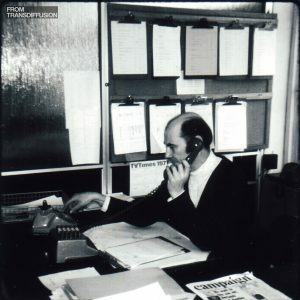 These were cheap 7-second plugs for a product done over the station clock (or with the clock either side and a slide in-between) read by the duty announcer but were deplored by the Independent Television Authority as it looked like the station itself was being sponsored by the product in question. All that’s left of them by 1970 is the announcer coming in live at the end of a standard commercial break and doing a plug over a slide – in this case for this week’s TVTimes. Once Cinema has run – direct to the participating network from Granada – the rest of the evening is all locally originated. 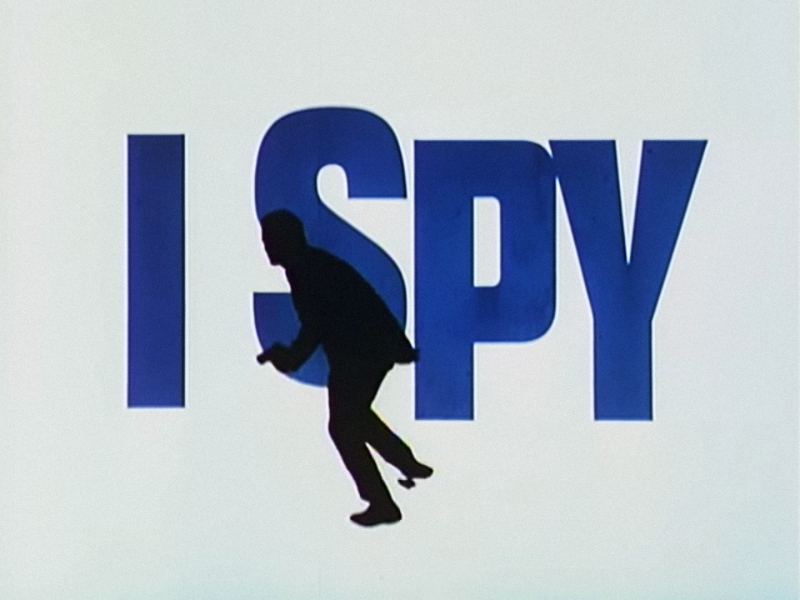 The main programme is NBC’s I Spy, starring Robert Culp. The episode number 21 from season 3, previously shown on NBC in the States on 4 March 1968. That’s followed by the epilogue, 8 minutes and 7 seconds long, at 23.59.50, on videotape, and then the closedown. The closedown isn’t given any timings, and aficionados of this particular sub-genre of presentation will know how this time was used – informally, with the announcer chatting about what we saw tonight and what we can see tomorrow, possibly thanking the transmission crew and sometimes naming the transmission controller. The national anthem is played, there’s a period of silence, and then the announcer gently fades his mic back up, reminds us to switch off our sets, and wishes us a good night again. Interesting to see this. Surprised to see that Thames were playing Peyton Place from 16mm. This is a really fascinating insight into a Thames daily ‘routine’. (I can almost smell the Gestetner stencil). I particularly like the description of the ‘clock spot’, something I hadnt given much thought to before. Now, who IS the mystery member of the Transdiffusion crew studying TV Times at the announcer’s desk? 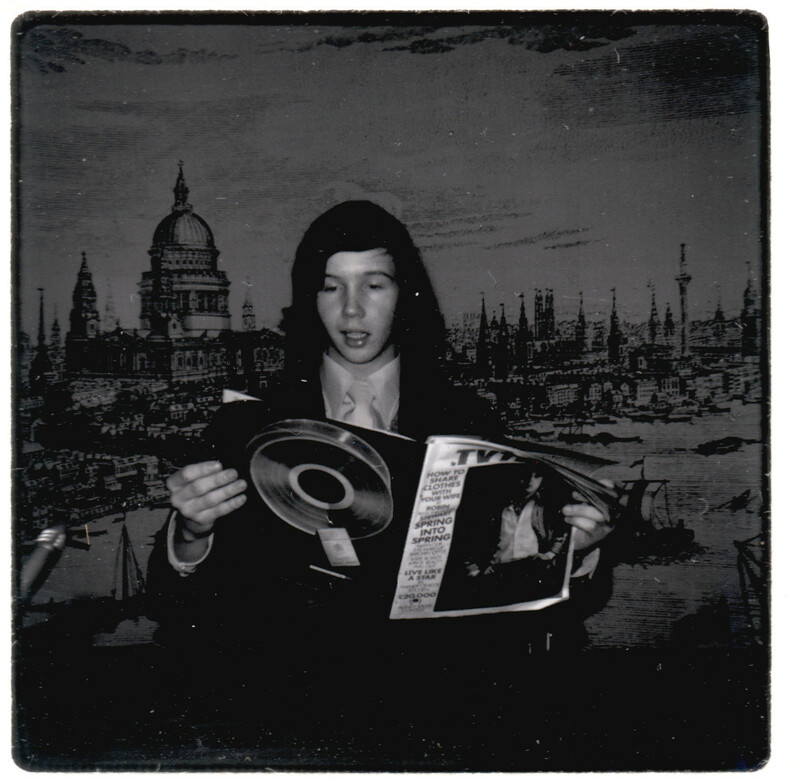 (My hair was that long too in 1970). Wouldn’t the ident into the OB have been separate because the OB wouldn’t have had facilities to play it in, and it wasn’t worth trying up a studio gallery to put it on the front? Also, the point about the rest of the network seeing the Thames clock is surprising, I’m fairly sure their MCR would have sent ITN to the network cleanly. The only time they would have sent a dirty feed is when the THS announcer was doing a plug for a “book which accompanies this series” or introducing a PPB. There’s no time given for that centre-break in Today – presumably the timings were flexible. The first parts of Crossroads and Peyton Place look very short – 5 to 7 minutes before the middle break. Only three trailers that I can see listed – for Cinema, News at 10 and This Week – although it’s possible another one was part of the extended ‘Promo/Intro’ billed for 19.11.43. Of course, anything after 7 the next day would have been under the London Weekend banner, so opportunities to throw forward were limited. 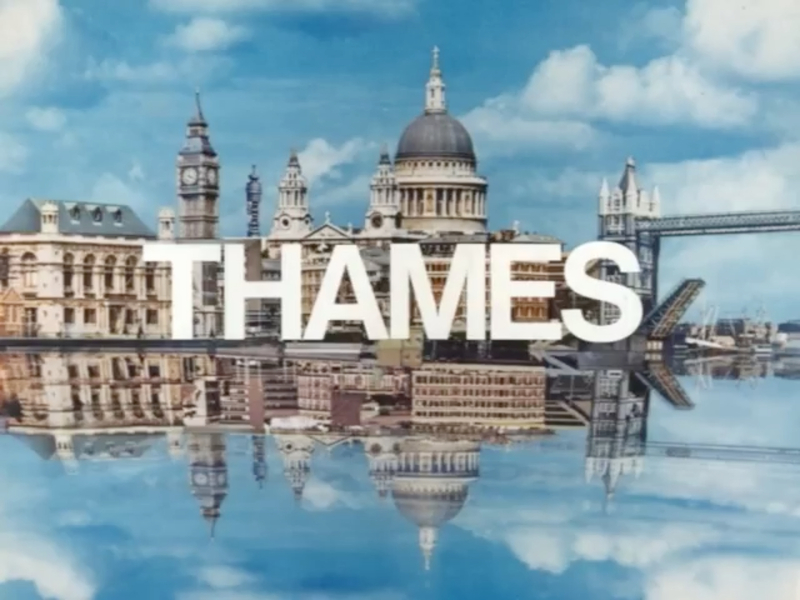 Curious to see the anthem at the end of the day – when did Thames drop it?